From the expansive WeWork offices on Seymour to the savvy social-impact spaces at HiVE, space-sharing and coworking spaces are thriving in Vancouver. With so many benefits to space sharing, it is easy to see why this trend seems to be here to stay. Despite the many perks of coworking, there is a sizeable demographic of solopreneurs and freelancers who find a full-time desk at any of the major coworking spaces beyond their price range. 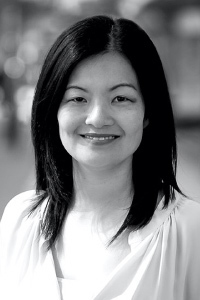 Founder & CEO Kimberly consequently founded CityHack, a startup that provides its clients access to underused venues in downtown Vancouver’s hotel and hospitality industry, to meet the needs of this community. Hot on the heels of their recent announcement opening a third space-sharing partnership with the Fairmont Hotel Vancouver, we caught up to CEO Kimberly Tholl (also a Capital Mentorship Program Alumna!) to talk more about her Vancouver-based startup and get her take on everything from space sharing in the city to bootstrapping with a young family. CityHack provides affordable coworking solutions in cool spaces across the city. Q: Hello Kimberly, we know you’ve been busy with the latest news, so we’ll get right to it. Give us your best elevator pitch: what is CityHack and what problem does it solve? Kimberly: CityHack transforms underutilized urban spaces such as hotel event space and dining rooms into shared workspaces for the digital workforce. One CityHack pass gives members access to multiple locations within the CityHack network at a fraction of conventional coworking membership costs. 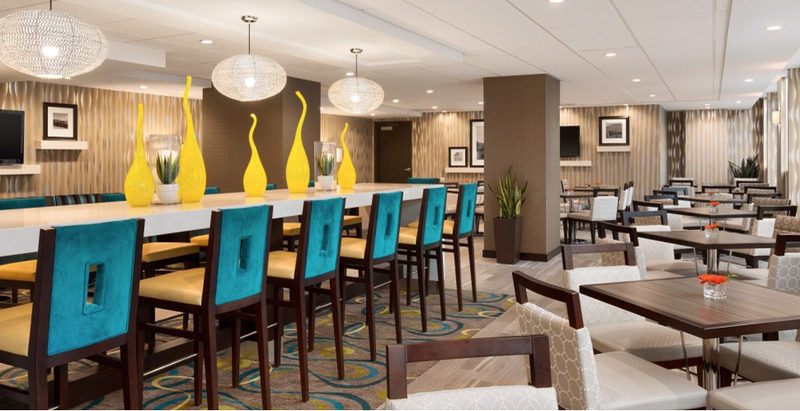 In addition to high-speed Wi-Fi and complimentary coffee and tea, our members also enjoy exclusive venue perks such as complimentary business centre use, discounted hotel rooms, downtown parking and conference room bookings. Q: Could you share a little about your background and how it could have helped with hacking this city’s underused spaces? Kimberly: My background is in procurement and supply chain management. I’ve worked in various industries ranging from food service, home improvement to seniors living. One thing all my previous jobs had in common was building win-win partnerships with other organizations. Q: So, what led you to pursue entrepreneurship? Kimberly: Similar to many entrepreneurs, I was trying to solve a problem that I experienced firsthand. In my last corporate job, I had to travel two hours each way to an office that didn’t fit my needs. Since I was able to work anywhere with a laptop, I wanted to choose a productive workspace that was located in downtown Vancouver. It was much harder than I thought! A regular coworking desk costs at least $300 a month, and I only had the option to go to one location. Meeting suppliers downtown could only happen in coffee shops. I didn’t want to work from home, either – the whole work setup was just not ideal. Meanwhile, I walked by upscale spaces like dining rooms and event spaces that were left empty during the day. I thought it would be great if these spaces could be unlocked as workspaces. I also thought this had to be done already, but when I looked into it the “coworking within hospitality” concept had indeed been done in other parts of the world, but not yet in Vancouver. I saw a need in Vancouver for this kind of concept, so I founded CityHack. Q: Why is space sharing such a passion project for you? Kimberly: I’ve always been a proponent of the Sharing Economy. We need more of it – especially in a city that has expensive real estate. I see the affordability issue as a problem of accessibility and distribution. Spaces are available; people just can’t find them. What’s missing is a bridge that connects the excess supply to the demand. Both exist if we take a minute to observe, and I envision CityHack to be that bridge. When someone can access an upscale four-diamond hotel workspace in downtown Vancouver for less than $100 a month, there is no affordability problem. Q: Space sharing and coworking spaces are extremely popular in Vancouver. What factors do you think contributed to this? Kimberly: It’s true conventional coworking spaces have been around for a long time. I think they’ve become popular in Vancouver because the commercial real estate costs have been rising, vacancy rate declining, and people are more educated about the advantages of coworking in general. Q: What is the main thing that differentiates CityHack from other Vancouver space sharing providers or coworking spaces? Kimberly: What differentiates CityHack from conventional coworking spaces is that we are a coworking marketplace. We connect the demand and supply of space without owning or leasing any commercial real estate. Our model allows us to scale more quickly than conventional coworking spaces. We avoid the complexity of leasing and renovation, and expand by partnerships with existing venues rather than building out physical spaces. Q: Vancouver’s affordability challenges definitely extend to commercial and industrial real estate. How are space sharing solutions like CityHack helping to tackle this problem? Kimberly: I love Vancouver. There is so much to love about this city… except for its affordability. When a hard-working professional can’t find an affordable home to live or an office to rent, it’s no longer a livable city for them. Because we don’t have the typical brick-and-mortar overhead costs, we are able to pass significant savings to our end users, and at the same time provide another income stream and exposure to our venue partners. We are trying to solve three problems: the digital workforce who can’t find affordable workspaces; venues facing increasing operating costs don’t generate per square footage revenue to their fullest potential; and affordability issues that persist in metropolitan cities like Vancouver. Q: Well said. On the other hand, what motivates hotels to use a service like CityHack – is it purely dollars and cents? Kimberly: Interestingly, money is not their main motivation. They are instead motivated by being part of something innovative and disruptive. In my experience, they see the potential in the Sharing Economy movement. The extra traffic and exposure CityHack brings to these venues could spill over to their core business, such as event bookings, hotel room bookings, spa and restaurants. Q: What drew you to participate in the Capital Mentorship Program’s Women in Tech cohort? Kimberly: I learned about the Capital Mentorship Program’s Women in Tech cohort from a meetup group. I am a self-funded woman entrepreneur; statistically, I’m less likely to receive funding than my male counterpart. This program was designed to support female founders on their journey to raising capital, something I will need to go through in the near future. It was a perfect fit for my situation. I had to sign up! Q: What was your biggest take-away from the program? Kimberly: My biggest takeaway is that investors ultimately want to know if they can trust the entrepreneur with their money. Investment is about scalability. Do I, the founder, and my business have the capability to turn $1 into $100? Q: What would you say is the biggest challenge you’re currently facing as an entrepreneur in Vancouver? Kimberly: As a solo founding bootstrapper who is in her third trimester of pregnancy, and mother to a four-year-old boy, I need to juggle between my health and constant demand from my business. Lack of resources is my biggest challenge – I do most of the tasks myself. Every day, I have to make choices on what gets done and what doesn’t get done. As a result, the business is not scaling as fast as I like. Q: Being extremely busy is definitely a double-edged sword. Aside from the Capital Mentorship Program, what other kinds of additional support have you been able to lean on as a bootstrapping entrepreneur? Which have been the most valuable? Kimberly: I am very lucky to have an extremely supportive network around me. Our venue partners are on the ground supporting CityHack members along with my staff. Our partner guest services teams are world class, and we are always in good hands. My immediate and extended family members are all so supportive and they help in any way they can – from babysitting to grocery shopping. I do take weekends off to spend with my family too. Q: We’re so glad to hear that! So, what’s next for CityHack? Kimberly: We just launched our third location at the Fairmont Hotel Vancouver on January 14, 2019. The hours will be 8am–6pm, which will accommodate many members that require morning hours. It is at the centre of the Vancouver business scene and just a few minutes’ walk from Burrard Skytrain station. The venue also comes with many perks, such as Health Club access, Notch8 restaurant and hotel suite discounts. We are incredibly thrilled to begin our partnership with Fairmont! Wrap up: That’s so exciting, Kimberly! Thanks so much for you time today. We look forward to seeing both you and CityHack thrive in the coming year. To learn about opportunities for Space Sharing in Industrial Spaces, check out our Industrial Concierge service. Thanks to Kimberly Tholl (CEO, CityHack) for contributing to this post.